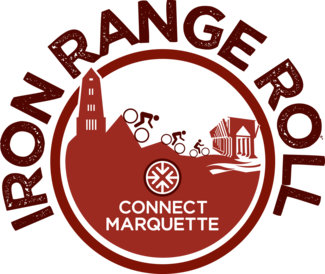 The Iron Range Roll is a 16 mile point-to-point fun (but timed) bicycle race from Ishpeming to Marquette along the Iron Ore Heritage Trail (IOHT). This event celebrates the heritage and recreational culture of Marquette County – all in the name of giving back to our community’s youth through the YMCA of Marquette County's After School Progam. Along the Iron Ore Heritage Trail, from downtown Ishpeming to the iconic Ore Dock in Marquette, recreational and community enthusiasts of all ages will participate in a friendly, timed, downhill excursion. Connect Marquette (formerly 40 Below Young Professionals of Marquette County) is honored to partner with our sponsors, the Iron Ore Heritage Trail, the Cities of Ishpeming, Negaunee, and Marquette, Townships of Negaunee and Marquette, and the YMCA’s After School Program to present an annual recreation event that celebrates the connection of our communities along the IOHT.The “Iron Range Roll” aims to be an all-inclusive event that promotes healthy living, fun, and giving back with participants of all ages and abilities. At the conclusion of “The Roll,” an awards ceremony and celebration will be held at the Ore Dock Brewing Company in Marquette. Assist race logistics team with marking of the trail, set up of start/finish, etc. Hand out water to racers as they pass. Assist road crossing volunteers as needed. Follow the last biker on your bike to make sure all bikers finish the course. Assist racers who have crossed the finish line. Attend the food and water station located near the commons. Please note if you are First Aid or Ski Patrol certified.